How Do Natural Testosterone Supplements Work? As we age, many things get better; however, we see a remarkable downfall of testosterone levels in our body. And, low testosterone levels can hurt and cause devastating effects on your body and mind. Luckily, we have plenty of natural testosterone supplements available in the market, which are made from natural ingredients only. These natural supplements aid in increasing the body’s testosterone levels naturally, without any help from chemical substances. Since these supplements have so many benefits to offer, it is worth finding out how these supplements work so efficiently? Not being familiar with supplements can make you feel a bit overwhelmed when you step out to know about ingredients used in a natural testosterone supplement. Let me warn you – the process of becoming familiar with different ingredients isn’t easy, but you need to grasp the nettle audaciously! How do Natural LowT Supplements work? Natural testosterone supplements are herbal supplements that help in naturally increasing the testosterone levels. 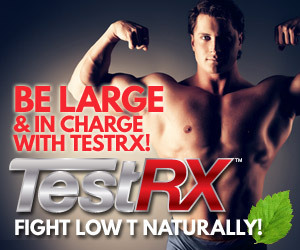 When you consume a natural testosterone supplement, your body gets stimulated to produce more testosterone naturally. The supplements help in augmenting a dramatic increase in particular transcription factors that in return increase testosterone production signalling or due to an increase in vitamins and minerals essential for reasonable testosterone production. Do they have any side-effects? 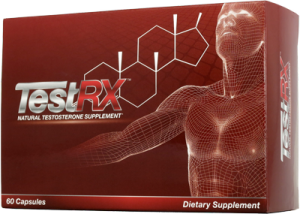 Generally speaking, natural testosterone supplements are safe causing no known side-effects. But, of course, don’t go overboard with these supplements as it may lead to potential dangers in the form of harmful side-effects. Multiple studies have shown that consumption of TT helps in increasing testosterone levels naturally. Besides, it has aphrodisiac properties that can help in increasing sexual performance. Fenugreek has its origin in India and is popular for its anabolic properties. You may have perhaps come across Zinc Monomethionine Aspartate (ZMA) on several supplement labels. This ingredient is known to do a fantastic job in enhancing hormonal profiles. D-AA is a natural amino acid known to be effective in increasing T-levels by improving the messaging system between the brain and testes. When the test levels rise, you may see some acne on your skin. It is, therefore, highly recommended that you drink plenty of water and take regular showers to keep such issues at bay. Another pretty common phenomena is about losing weight. When the test levels increase, you also increase your fat burning metabolism. In other words, you may lose a few extra pounds. Why Natural Supplements are Better Than Testosterone Pills and Shots? Can Natural Testosterone Supplements Help in Weight Loss? How Bodybuilding Steroids Affect Your Health?